We offer free public internet access on 14 computers in Adult Services and two in Youth Services. A valid library card is required to logon. Guest passes are available for visitors. Each cardholder is allowed two hours of use per day. Microsoft Office 2013 (Word, Excel, PowerPoint, Publisher) is available on all internet PCs. Scanning is available from our copier to all Adult Services PCs. Five flatbed scanners are directly connected to the computers next to the Reference Desk. Use of all library computers is subject to compliance with our Computer and Internet Use Policy. Printouts from public internet computers cost $0.10 each for black & white, color printouts are $0.50 each. • Open the list of available wireless networks and select "Winona Public Library." • Click to connect to the network and enter the password: winonapl. • A browser window should appear where you need to accept the library's Wireless Internet Use Policy. If it does not, open a web browser and attempt a search. The policy acceptance page should then load within the browser window. Please note: The library cannot guarantee that your equipment will work with the library network. Can your device “see” the network? If not, make sure your device’s wireless is turned on and that you are trying to connect to the network named "Winona Public Library." Have you opened a browser? You need to get the Wireless Internet Use Policy page to load in a browser and select “I Agree” to fully connect to the library’s wireless network. Are you having trouble getting the Wireless Internet Use Policy page to load? If you've connected to the network and opened a browser, but the Internet Use Policy acceptance page is not loading, then try navigating to http://www.winona.lib.mn.us. This will often kick-start the Wireless Internet Use Policy page to load. Have you tried all of the above but are still having trouble connecting? If you have tried the above steps and are still having problems, then try disconnecting from the network and restarting your device. This often solves connection issues. Print from your laptop or mobile device. • Email your print job as an attachment to the printer at print@ricohprintcloud.com. • You will receive a confirmation email in return that contains release codes for the body of your email and attachments. • At the copier, select Print Cloud from the menu. • Enter the release code and select your print settings. • Pay for the printouts at the Reference Desk or Checkout Desk. Two microfilm readers are available for public use. One is a digital reader equipped with OCR software. The Winona Daily News, formerly the Winona Republican Herald, is available on microfilm from July 19, 1860, to the present, as are some census records. A fax machine is available for public use. The cost is $1.75 for the first page and $1.00 for subsequent pages. The library has one energy usage meter available for loan. Plug in any 120-volt appliance into the meter and it will display how much electricity it consumes. The meter can be used to help you figure out your electrical expense by day, week, month or year and learn which appliances are costing you the most. 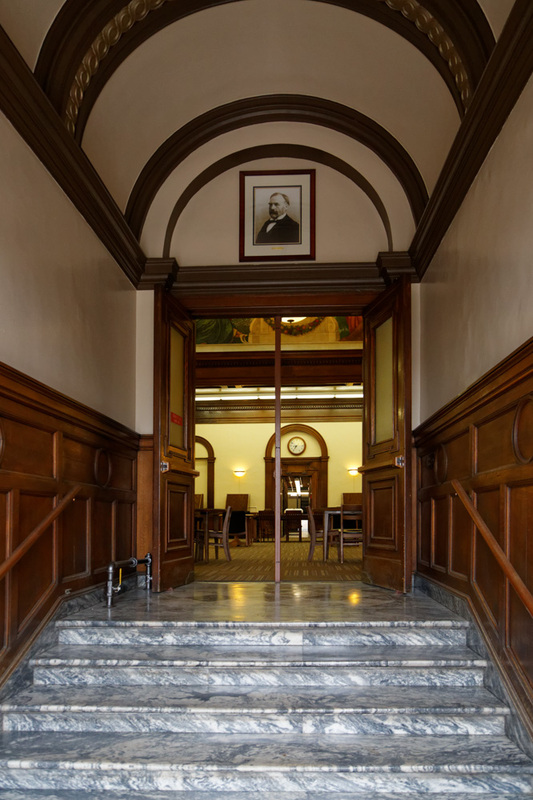 Our main Reference Desk is located on the 2nd floor of the library. Staff are available to assist you with the collection and your information needs. Materials that the Winona Public Library does not own can often be borrowed from other libraries at no charge. Librarians at the Reference Desk on the 2nd floor of the library can locate and request these items for you. Items can be obtained from libraries within the SELCO region or the State of Minnesota via MNLink. The library offers exam proctoring during regular business hours. Students need to make arrangements with the Reference Department at least two business days prior to the exam. Students are responsible for any fees incurred during the exam. This may include postage, envelopes, copies, and faxing. Scanning is optimal as it is free. Please read our full Proctoring Policy prior to scheduling your appointment. To schedule an appointment, please fill out our online proctoring request form. If you have any questions, feel free to contact us at (507) 452-4860 or winonapl@selco.info. Please refer to our Genealogy, Obituary, and Article Requests Policy for information and forms on submitting requests for information. 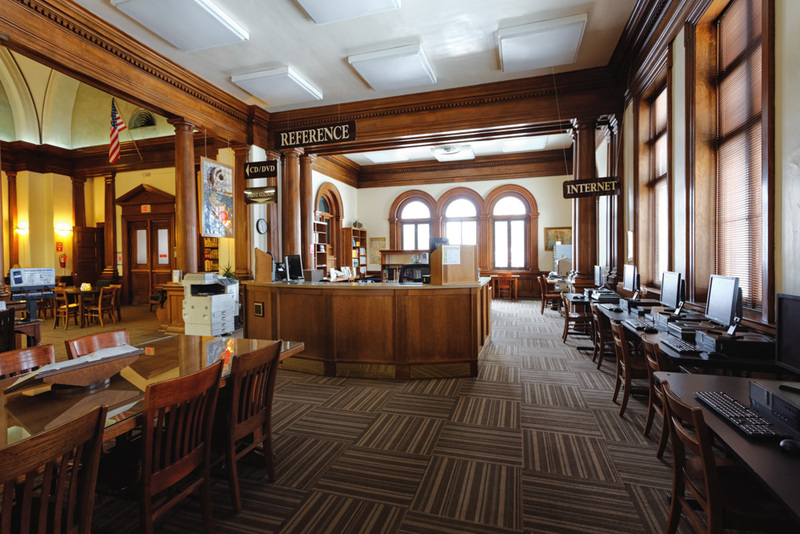 The Winona Public Library has the Winona Newspaper (currently Winona Daily News formerly Winona Republic Herald) on microfilm from July 19, 1860 to present. Winona Newspapers from 1860-1976 are also available online at the Winona Newspaper Project. The Winona Public Library has a Digital Microfilm Reader, which allows users to make PDFs of articles/obituaries. All are welcome to bring a flash drive to save PDFs on or to email the PDF to themselves. Printing is available at $0.10/page. A manual microfilm reader is also available. Printing from this machine is $0.15/page and requires exact change. Other genealogy resources of interest in the library include Ancestry.com: Library Edition (World Edition). This resource is only available for in-house use but users may bring their own laptop. Print resources that are available for in-house use only include City Directories dating from 1872-present day (some years are missing) and The Resting Places of Winona County, Minnesota: Cemeteries of Winona County. Please download our full Genealogy, Obituary, and Article Requests Policy, which includes the request form. Requests for obituaries/articles can be made online or through the mail. Online requests can be made at https://tinyurl.com/wplobits. Requestors residing in the State of Minnesota are not charged for obituary/article requests. Those residing outside of the state will be charged $2.00/request. Requests submitted online or through the mail should allow one to four weeks for processing. The Library cannot guarantee that we will find the requested article/obituary. Only three requests are allowed per month. Library staff will search seven days from the date of death and will notify the requestor regarding the findings and the payment amount.